So you’ve decided to become a ghostbuster. One of the first things you’ll need is a proper thermal camera. There is no better way to hunt ghosts than with a thermal camera. Because the apparitions don’t exist in the visible light range, sensing their heat (or lack thereof) is the best way to hunt them down. Thermal cameras are non-contact temperature sensors. They can tell the difference in temperature of an area without having to come into contact with any of the objects. Those temperature differences are converted into electrical signals and shown on the screen as color visualisations. So by simply looking at the color differences, you can determine cold and hot spots around a specific area. The first step is finding a good quality thermal camera. A few years ago, thermal cameras were expensive tools. And even today there are some pretty price ones around mainly designed for professionals. Fortunately, there are just as many affordable cameras that you can buy. They’ll work just as well for your ghost hunting needs. In addition to the price, also think about portability. You are going to be moving around a lot while holding the camera, pointing it in different directions as you search for any paranormal activity. A big heavy camera is going to tire you out quickly. Find something light, compact and easily portable. You basically have two options here: either a handheld camera or a smartphone camera. Handheld cameras are slightly bigger and have more features than smartphone thermal cameras. They’ll usually boast a greater temperature range and increased sensitivity. If you are doing some serious ghost hunting, they are the best. 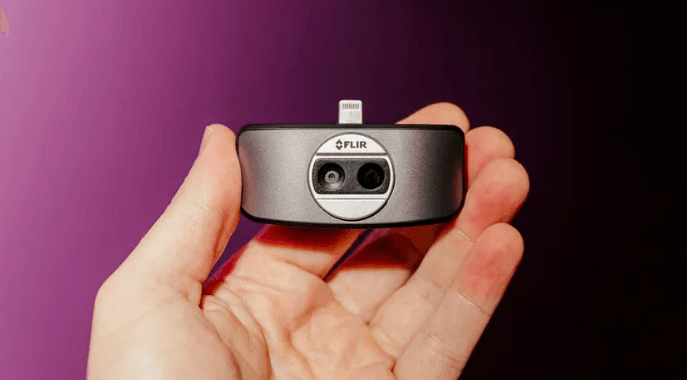 But if you’d rather get an even cheaper camera that is easy to carry around and which you can whip out of your pocket at any time, get a smartphone thermal camera. 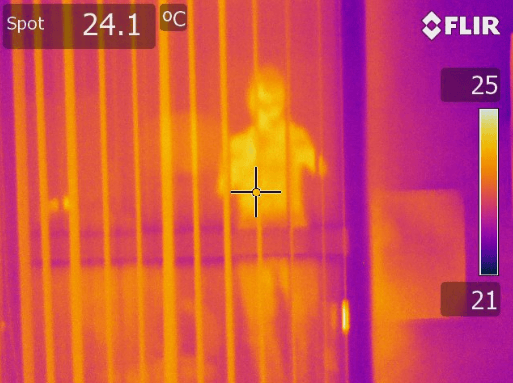 These types of thermal cameras connect to your smartphone and use the screen to display the heat signature of an area. 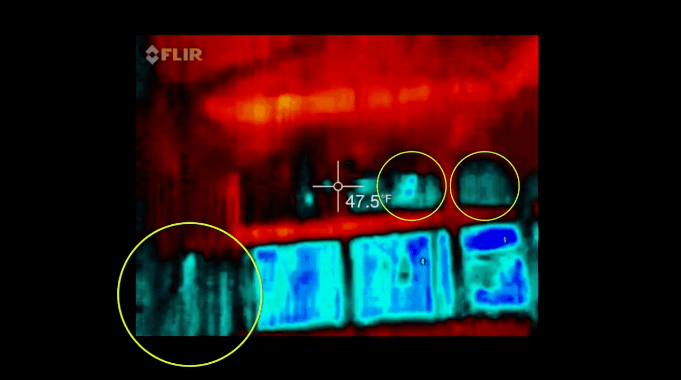 Some good quality ghost hunter’s smartphone thermal cameras include FLIR One and SEEK Compact XR. Also consider other factors like temperature range, sensitivity, screen size (for handheld thermal cameras) and weatherproofing (if you plan to work outdoors). For help finding the best thermal camera for ghost hunting, see our reviews of the best sellers right now. Once you have your camera, set up all the other gear you need for the hunt. Some ghost hunters also carry a laser thermometer or digital thermometer for additional temperature readings. You’ll probably also want to have a flashlight with you. It’s also important to plan exactly where you’ll be hunting for ghosts. Look for places where there have been reported sightings before. You can ask the locals or do some online research to find a good place. You also need to plan what time you’ll be going. The best period is usually between 11 pm and 4 am. You can go alone, but it might be more fun (and sometimes safer) to bring a friend or two along. Get there well ahead of time and get ready to start your hunt. Make sure your thermal camera has been properly set up. Each camera has different settings for things like sensitivity and resolution. Check that you’ve set up everything the way you want before going in. Make sure you are pointing the thermal camera at all areas and directions – the ceiling, floor, corners, doorways and so on. Move the camera slowly, making sure you are always recording. This ensures that if anything paranormal pops on your screen, you’ll be ready. Focus on the colors appearing on the screen. Pay particular attention to areas that are unusually cold. These will be represented by the colors purple, dark blue and black. Of course, these spots could be explained by drafts or a cold water pipe, but it could also be something else. Investigate anything that looks out of the ordinary. According to some ghost hunters, unusually hot areas are also worth investigating since ghosts can manifest differently. These areas will be represented by the colors red, orange and yellow. Even if you don’t see a sighting during the hunt, go through the footage again later. You might just spot something you missed in the heat (or cold) of the moment. Good luck with your ghost hunt! 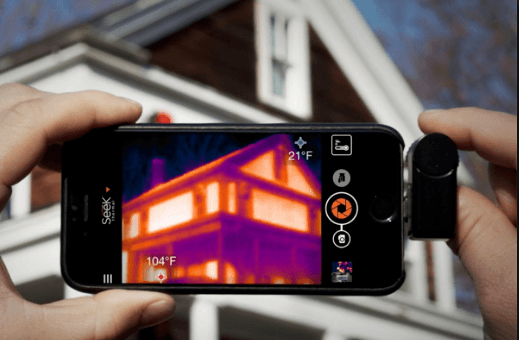 Thermal Camera Market Is Heating Up!